B.A. Rutgers College, New Brunswick, N.J. In a unique arrangement approved by the County Commission, the Viera Company retained the County Attorney’s Office—specifically Scott and Eden Bentley—on an hourly basis to undertake the condemnation of the right of way and easements necessary for the widening of Wickham Rd. at the I-95 interchange from Perkins Restaurant on the east, to Target and Walmart on the west. Those parcels involved the full range of eminent domain valuation, severance damage and business damage claims, including supplemental fee claims by appraisers, CPAs, engineers, planners and attorneys. Developed the legal strategy and documents resulting in the creation of the North Brevard Development Zone Dependent Special District, a tax increment district designed to promote economic development in the Titusville area in the wake of NASA’s shut down of the Space Shuttle program; the “Zone” is now annually funded with more than three million dollars in ad valorem tax revenue generated by the new Florida Power & Light plant in North Brevard and that revenue is dedicated exclusively to economic development and redevelopment in North Brevard. Developed agreement memorializing multi-million-dollar grant instrumental in bringing Embraer Aircraft company to Brevard County. Negotiation and preparation of complex agreements involving the lease, ground lease, and lease termination involving the Florida Marlins, Washington Nationals, and Viera Company relating to Space Coast Stadium and abutting property owned by Viera Company. Researched and discovered an obscure provision in the Tourist Development Tax statute that would have terminated the entire County TDT if the Washington Nationals were not replaced by another professional team or a not for profit corporation qualified to operate Space Coast Stadium; helped negotiate and prepared complex documents resulting in the lease of Space Coast Stadium to the nation’s largest amateur sports organization, USSSA (United States Specialty Sports Association), including assignment of the Nationals ground leases on abutting Viera Company property to the County and subleasing of those properties to USSSA. Established and grew a legal Extern program within the County Attorney’s Office which has accepted law students from both Florida and out-of-state law schools; supervised and mentored externs engaged in preparation of research memos, contracts, pleadings, discovery and participation in client meetings, as well as administrative proceedings before county agencies. Represented numerous land development clients in commercial land acquisitions, commercial leases, real estate transactions and litigation involving local government planning and zoning regulations; and commercial landlord-tenant litigation. Represented private utility companies in state and local administrative proceedings and contract litigation. Represented County in acquisition of private water and sewer systems. Represented County in Bond Validation proceedings. Represented Clerk to the Circuit Court and Sheriff’s Department. 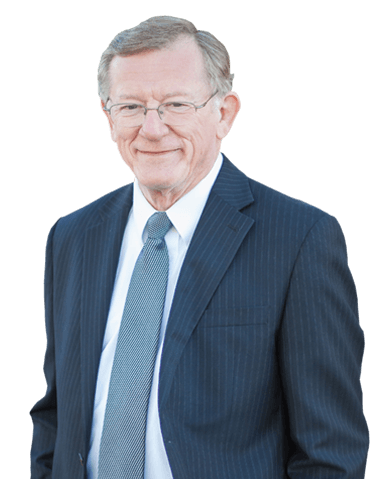 Scott L. Knox has been lead counsel in numerous jury and non-jury trials at the state and federal levels after 24 years as the Brevard County Attorney and 10 years in private practice, . In Brevard County alone, he successfully handled several cases involving multi-million-dollar claims. Over the years, Scott has also handled about 30 appeals, arguing before three of Florida’s District Courts of Appeal, as well as the Florida Supreme Court (in three cases). He has authored several Amicus briefs in the U.S. Supreme Court on behalf of the county. Scott has vast experience in property rights law, especially in eminent domain litigation initiated by the Florida Deptartment of Transportation, Pinellas, Pasco and Brevard Counties, all of which involved government authorized takings of private property for roadway, parks and utility purposes. His eminent domain experience was developed in both the public sector—where he handled hundreds of parcels—and in private practice. Scott has represented both government and private interests in inverse condemnation claims involving uncompensated physical and regulatory takings by governmental entities. He handled several Bert J. Harris Act claims involving non-taking reductions in value caused by the first- time application of regulations enacted after July of 1995. Scott has defended and pursued civil rights actions, claims for statutory ways of necessity, and administrative proceedings involving developments of regional impact.